When people hear “limousine” majority of people imagine a long black slim vehicle that can seat many people, this may have been a majority of limousines “back in the day” but limousines these days come in all shapes, sizes and colours. 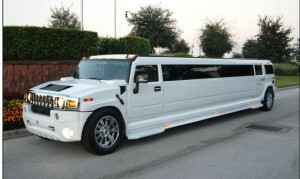 Instead of the usual slim design a limousine design has branched off into a more robust and bulky. This design concept has seen such developments like the Hummer limo which can seat a number between 18-20 people. The Hummer on its own is bulky and massive for a civilian vehicle but that doesn’t stop stretching it into a limousine size and implementing more features to it such as a bar, lighted ceilings, large screen HDTV’S with high quality audio systems. Of course the Hummer limo is not the first of that kind, there are also various SUV limos that have the same concept of design and features. There have been special requests for specific limo designs that included armor plating, blast protection; basically military grade limousines. Although these types of limousines are mainstreamed by government officials they’re still pretty classy and unique. 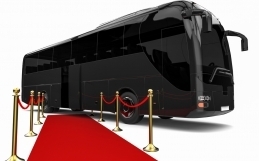 Most limousine designs have gone as far as creating bus limos. 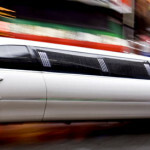 These limos can seat a number anywhere between 25-45 people; don’t leave the party bring it with you. These limos have a full bar, widescreen HDTV’S with surround sound high quality audio, custom flooring, tinted windows, ceiling lights. Limousine’s come in all colours today not just black or white. You can get a limo in just about any colour you want, some have gone to the extent of plating their limos in full gold but no matter what people shouldn’t judge a limo by it’s colour but by its features inside, because while the limo may not look like a party on the outside it definitely is on the inside.